The talent we’ll see on Friday nights this fall will be among the best that Jacksonville has ever produced. Numerous high school football players in the area are either already committed or will commit to power-five college football programs. One of these prospects is three-star Oakleaf safety Donovan Thomas. 1010XL recently caught up with Thomas to talk about his recruitment and look ahead to his senior campaign at Oakleaf. Thomas (6-feet-2, 180 pounds) says schools are looking at him in different ways during his recruiting process. 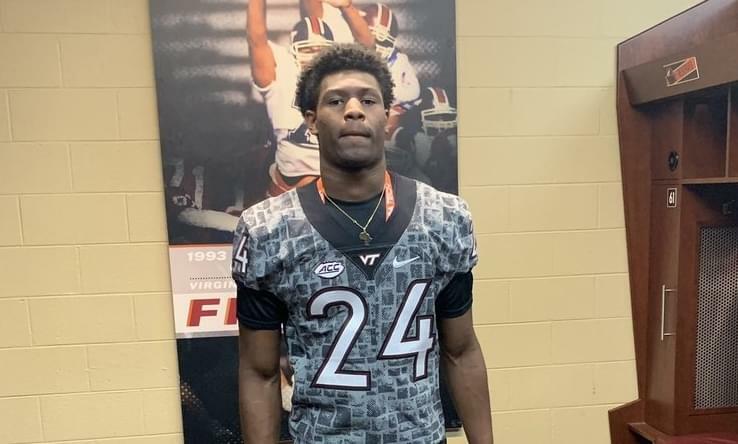 “I know with Virginia Tech, they would like me at both safety spots and then sometimes at nickel,” Thomas said. “I know their cornerbacks coach really likes me, so I could be playing safety and corner at Virginia Tech. Thomas is joined at Oakleaf by four-star recruits Jalen Rivers and Chantz Williams who are going through the recruiting process as well. Thomas says it’s been fun going through the process with them. “I know they got their offers and stuff first and I was really excited for them,” Thomas said. “When I got my first offer they were excited for me. Oakleaf was moved up to 8A football for this upcoming season and put into a district that already features Mandarin and Georgia quarterback commit Carson Beck along with Sandalwood and Florida State quarterback commit Jeff Sims. Thomas says he is looking forward to the challenge. Spring football is right around the corner and Thomas knows that this upcoming season may be his most challenging to date. Before the regular season arrives in August, Thomas will be on the road taking numerous college visits. Finally, should we expect a commitment from Thomas in the near future?